Fiji is playing an important but little known role in China’s latest and most ambitious space mission, which is scheduled within days. For the first time – if all goes according to plan – a manned spacecraft will dock with an orbiting experimental module in a major advance for the Chinese space program. And its progress will be tracked by a highly sophisticated ship operating out of Fiji. 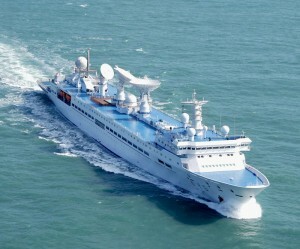 Suva is a perennial base for China’s space and satellite tracking ships known as the Yuan Wang ( Long View) class. 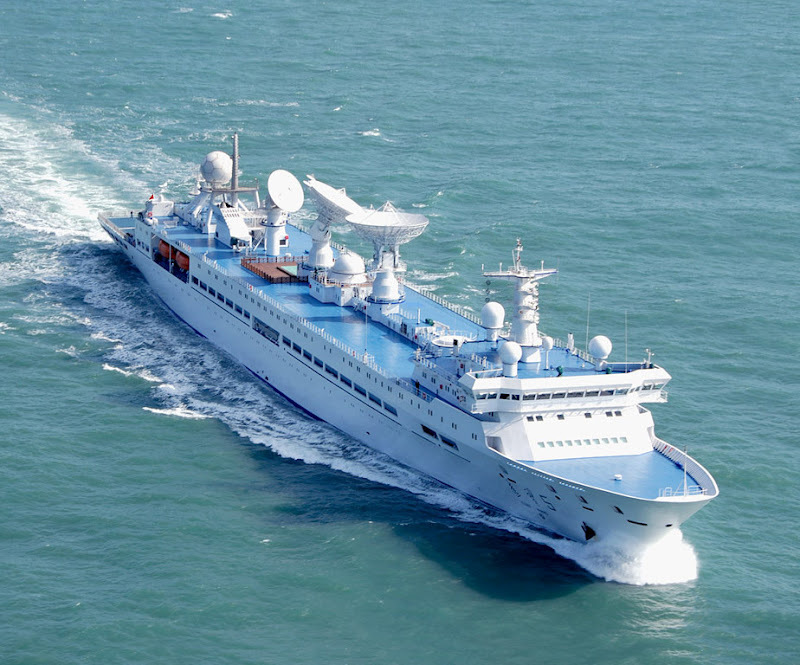 The latest and most advanced, the Yuan Wang 6, has been docked in Suva in recent days as China prepares for its latest space foray. Built in 2008, it bristles with the latest technology and its dishes and domes are a familiar sight on the Suva waterfront. Within days, it will sail for open seas to play its part in a global link-up with its five sister ships as they track the manned spacecraft on its orbits of the earth. An official spokesman quoted by the Xinhua News Agency was vague about the precise launch date but said it would take place in “mid-June”. He said the rocket carrying the Shenzhou 9 spacecraft was moved on Saturday to a launch pad in China’s desert northwest. The spokesman gave no further details but Xinhua said earlier that the flight would carry three crew members who would dock with and live in the Tiangong 1 orbital module. In 2003, China became only the third country to put a man in space with its own vehicle and is said to have made steady progress ever since. 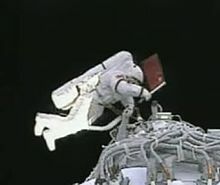 In 2007, the astronaut Zhai Zhigang undertook the first Chinese spacewalk during Shenzhou 7, the third flight of the program. Details of the Yuan Wang class ships are highly classified but they’re said to have a displacement of around 21,000 tonnes when fully loaded and carry a crew of about 470. Personally approved by Mao Zedong in 1968, the first went to sea in 1977 and they’ve been joined by others that have become increasingly sophisticated. During previous launches, they’ve been dotted around the globe, not just in the South Pacific but in the Yellow Sea, off the African coast of Namibia and off Western Australia. They’re a familiar sight in Suva and while there’s much informal muttering about “spook ships”, their crews are welcome visitors for local businesses. The Victoria Wine company, for instance, has supplied successive ships with up to two-thousand cases of wine per voyage. The crews are especially fond of Australian wines and their brand of choice is said to be Penfolds. So it’s a safe bet that if the latest space mission succeeds, the toasts will include some of Australia’s finest reds. FURTHER READING: The Guardian reports that the latest mission will include the first Chinese woman to venture into space. Lets hope they recruit some young Fijian citizens and take them as cadet satellite engineers.Satellite engineering is an exciting and rapidly growing field. For a while grubsheet was looking like an interesting and variety laden site for intelligent news comment. But it has now turned into the daily Fiji rant. It has become tedious and boring. As far as I can tell from the comments section, David, you weren’t exactly in. But that’s the wonderful thing about the net. When you find something tedious and boring ( and yes, if you’re not interested in Fiji and the region, I can understand your disenchantment ) you can simply move on. All the best and happy hunting. We never knew you here and wont be sad when you evacuate! news and things happening in fiji is not about getting bored or interesting. thousands of peoples life depends on whats happening there on the ground and it matters to citizens and ex citizens. keep up your work Graham . 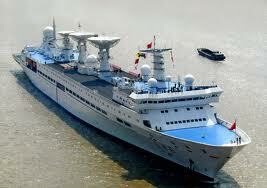 FYI only 3 Yuan Wang vessels are operating – 3, 5 & 6. Where did you get infor that Victoria Wines supplied 2000 cases of red wines?